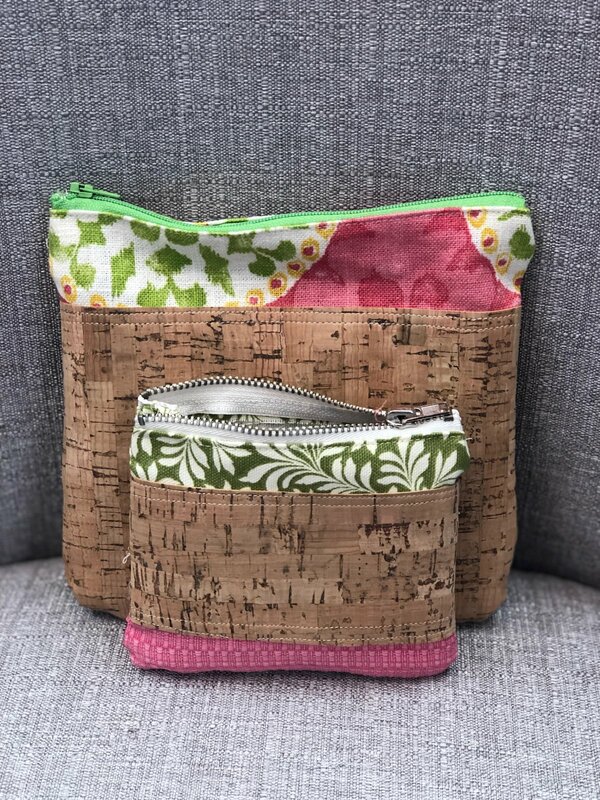 Join us to learn how to make this adorable zippered pouch. This is a great introduction to learn how to sew a zipper. You can use cork fabric for the body, quilter's cotton, duck cloth or upholstery fabric. These are great catchall bags for your purse, school, car or wherever! Cork (or other fabric) for body. You can choose the size of your tote. The large tote in the photo would require roughly a 16x20 piece of fabric (fat quarters would work great). You must know how to use your sewing machine.